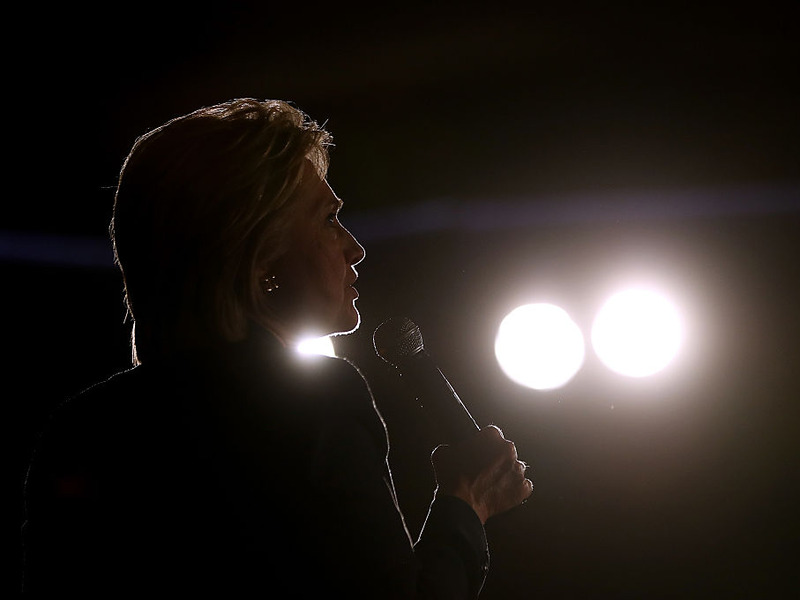 Justin Sullivan/Getty ImagesDemocratic presidential candidate, former Secretary of State Hillary Clinton speaks during a campaign rally on June 2, 2016 in El Centro, California. A lawyer for a top State Department official repeatedly objected to questions about Hillary Clinton’s private email address during a deposition earlier this month. The transcript, released Monday by conservative watchdog group Judicial Watch, documented June 3 testimony from Ambassador Stephen D. Mull. The ambassador previously served as executive secretary of the State Department during Clinton’s tenure. “When did you first become aware of Mrs. Clinton — the email address Mrs. Clinton was using to conduct official government business?” asked Michael Bekesha, lawyer for Judicial Watch during the deposition. When informed by Bekesha he could answer, Mull said it was a “difficult question to answer” because he wasn’t sure he “ever really became aware” Clinton was using a private email address for official government business. Asked about a message where “H” was listed as the sender of an email on which he was copied, Mull said he did not “definitively” know whom the email was from. “Based on the body of the email, does it — it appears as though H would refer to Mrs. Clinton?” Bekesha asked. “Based — after reviewing the entire email, do you think that the H refers to Mrs. Clinton?” Bekesha rephrased. When told he was allowed to answer the question, Mull said he wasn’t quite sure if the “H” referred to Clinton. Bekesha next asked Mull about an email sent from then-State Department legal adviser Harold Koh. The message was sent to Mull and Clinton, among others. “So this was an email from the State Department’s legal adviser. Is that correct?” the Judicial Watch lawyer asked. “You may answer the question,” Bekesha said. “It appears so, yes,” Mull replied. “OK. Would email sent by the legal — the legal advisor to the State Department usually get lost? Are those emails you would usually read?” Bekesha pressed. Mull said he would “make an effort” to read an email from the department’s legal adviser. “But you don’t recall seeing this specific email when it came in?” Bekesha asked. “You may answer the question,” Bekesha advised. “OK. And you don’t recall seeing [email protected] when you received it?” Bekesha asked. Mull ultimately said he didn’t recall seeing the address. The questioning came as a result of Judicial Watch’s Freedom of Information Act request for records regarding top Clinton aide Huma Abedin. Last week, the conservative watchdog group released the deposition transcript of Cheryl Mills, Clinton’s former chief of staff. Her lawyer also objected to questions pertaining to Clinton’s use of a private email server. Abedin is scheduled to testify on June 28. Clinton’s use of a private email address has dogged her campaign since it was first reported last year. According to reports, the FBI has begun the final stages of its investigation in connection with her private email server.